Facebook is today inundated with photographs of the great outdoors. After a long, dark autumn the sun is shining brightly over Stockholm and the sky is royally blue. Photos of people on skis, frozen lakes, rust-colored facades, glistening trees, ice crystals, chilly dogs, and snow-covered rooves abound. Like hibernating bears, the people of the Swedish capital emerge from their lairs when the sun appears. And at this time of the year, a cold, bright white sun is the perfect remedy to the winter blues. 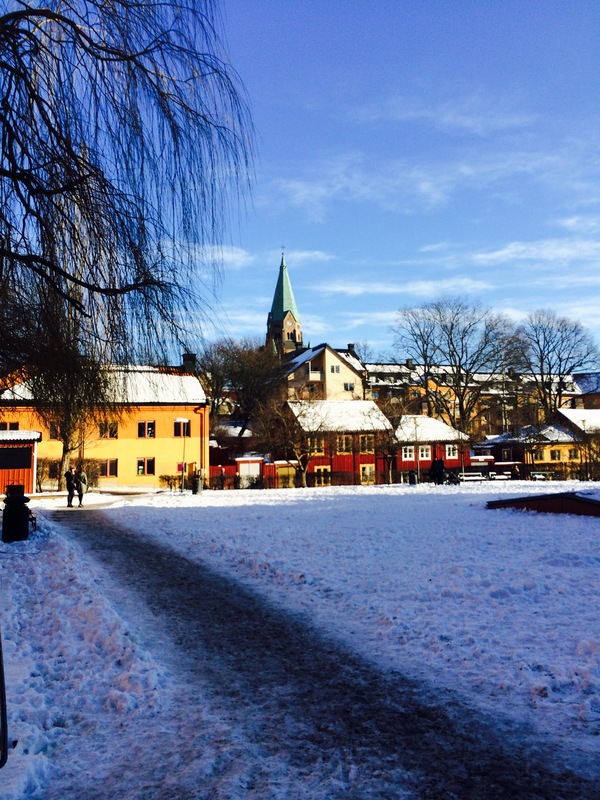 Stockholm is a breath-takingly beautiful city on these crisp, February days. So, it’s just to put on the woolly hat, the scarf, gloves, thick coat and winter boots and head outside for your shot of beauty and vitamin boost. Next Post Swedes – look up! !